Do you like chocolate? And what do you say about wine? If you enjoy consuming these two products, we have amazing news for you! 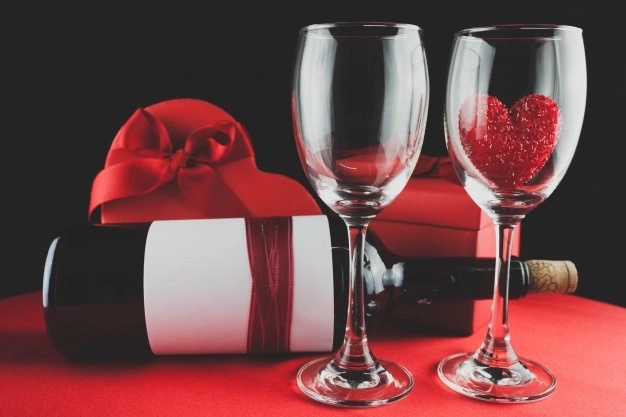 You may probably know that eating chocolate can lift your mood and relieve stress, while red wine is beneficial for your blood circulation and heart health. However, it turns out that these two delicious products have even more beneficial properties for your health. Scientists found out that chocolate and red wine are able to fight virus diseases and slow down aging. Can you believe it? Now you are able to use these tasty products in order to protect your body from viruses. 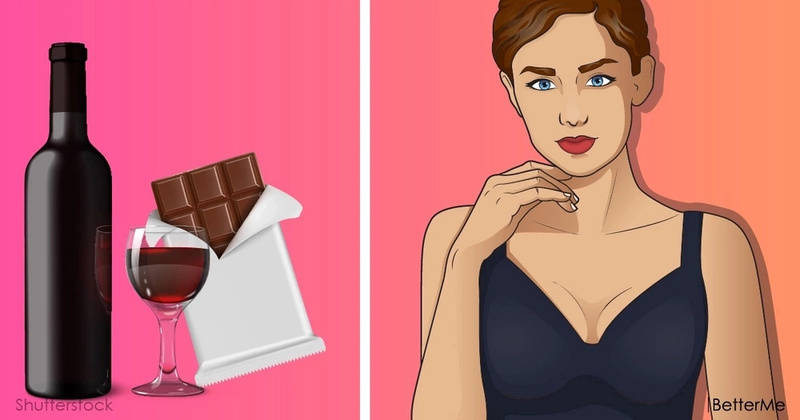 In this article, we would like to tell you more about this study and show you all beneficial properties of red wine and chocolate. Are you interested? Scroll down to read this interesting article right now. This study was conducted by American scientists from the Center for disease control and prevention. They have found that grapes and cacao contain resveratrol — a natural anti-inflammatory antioxidant. 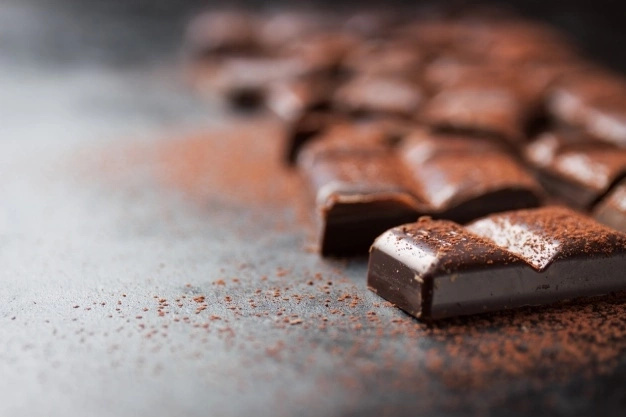 In order to find new beneficial properties of chocolate and red wine, scientists explored resveratrol and found that this natural antioxidant helps people fight viruses. How did they discover this phenomenon? The scientists added this chemical compound at varying intensities to human cell cultures infected by vaccinia virus, which is related to the highly dangerous variola virus that triggers smallpox. It turns out that resveratrol may prevent vaccinia from replicating in the early stages of the viral infection, and pause the spreading of virus. Moreover, the group of British scientists also found that resveratrol is able to promote rejuvenation of aging cells. They think this natural antioxidant stimulates the activity of bonding factors — maturation of the matrix RNA. When the scientists used resveratrol, aging cells started to rejuvenate. 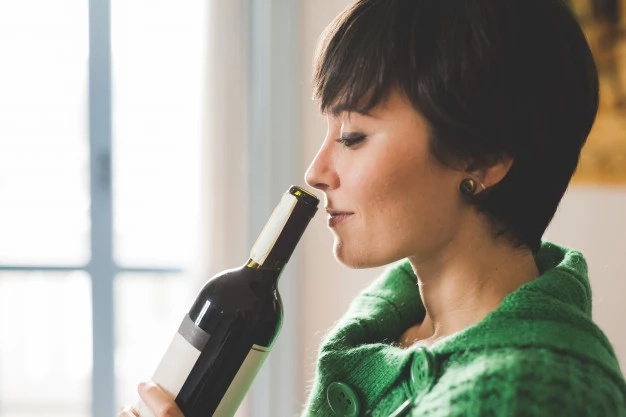 The researchers believe that the use of resveratrol in therapy may be effective at fighting heart diseases, cancer, Alzheimer's disease, Parkinson disease and other dangerous diseases. Red wine is a type of wine made from dark-colored grapes. There are plenty types of red wine. One of the most popular types are syrah, merlot, cabernet sauvignon, malbec, pinot noir, zinfandel, sangiovese and barbera. #1. It may help you lower your cholesterol levels. The scientists claim that some types of wine are rich in fiber, so they may actually lower high cholesterol. #2. It will keep your heart healthy. 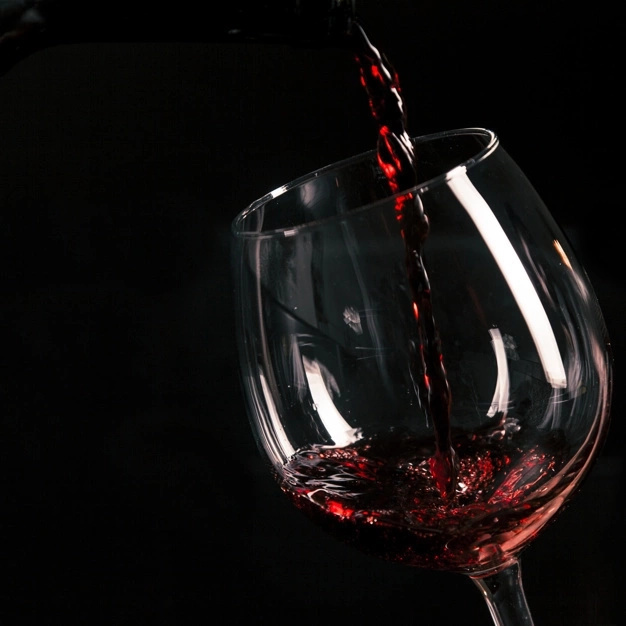 Red wine is rich in antioxidants which are beneficial for heart health. It may help strengthen blood vessels and lower the risk of blood clots. #3. It may lower your blood sugar. Resveratrol is also able to lower the risk of diabetes, or help diabetics to manage their blood sugar levels. It can also improve insulin sensitivity. #4. It may boost your brain function. 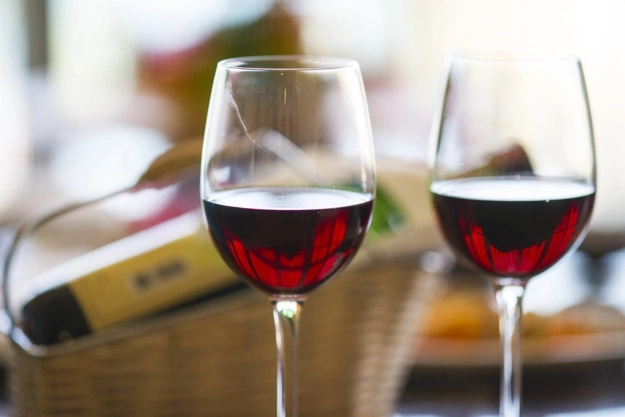 Drinking red wine may help you stimulate your memory, improve focus and concentration. Just make sure you consume red wine in moderation. #5. It may lower the risk of cancer. The researchers claim that drinking a glass of red wine three times a week may decrease the risk of cancer cells. #6. It can help you slim down. Resveratrol is also able to prevent the growth of fat cells. So if you follow a diet, it is not necessary to avoid drinking alcohol at all. Instead, you may drink a glass of tasty red wine. #7. It can make your dinner tastier. There is nothing bad in drinking one glass of red with your dinner. This perfect compliment ingredient will definitely improve the taste of your meat with grilled veggies. Chokolate is a delicious treat, which is made from the seed of the cacao tree. There are several types of chocolate, but the healthiest option is dark chocolate. #1. It may help you control appetite. 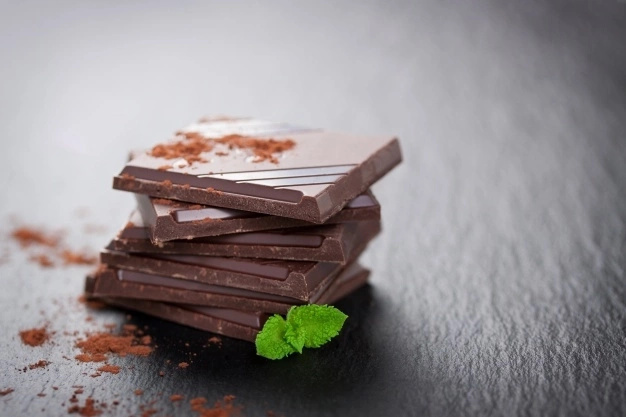 Eating a piece of dark chocolate as a snack may reduce your sugar cravings, help you feel full and prevent overeating. #2. It may help you maintain your nervous system. Dark chocolate contains epicatechin and flavonoids, which may lower the risk of nervous diseases and depression. #3. It may help relieve stress levels. Dark chocolate is also known for its relaxing properties, as it may help you relieve stress and anxiety levels. #4. It may replace antidepressant. Chocolate is rich in natural antidepressants — alkaloid, theobromine, and phenylethylamine. If you are suffering from depression and anxiety, dark chocolate may help you lift your mood and become happier. #5. It may increase your energy. This healthy product is loaded with stearic acid, palmitic acid and oleic acid, which can give you more energy.